I make mostly layouts, and colouring gives me a lot of opportunities to create my own background. 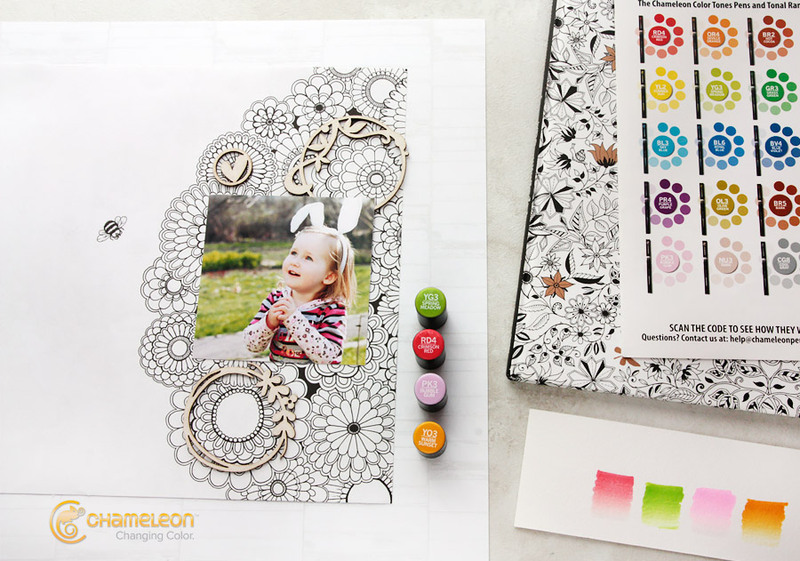 Chameleon pens have a wide palette, which means I can create any background I need using the original pen colours or mixing them together. 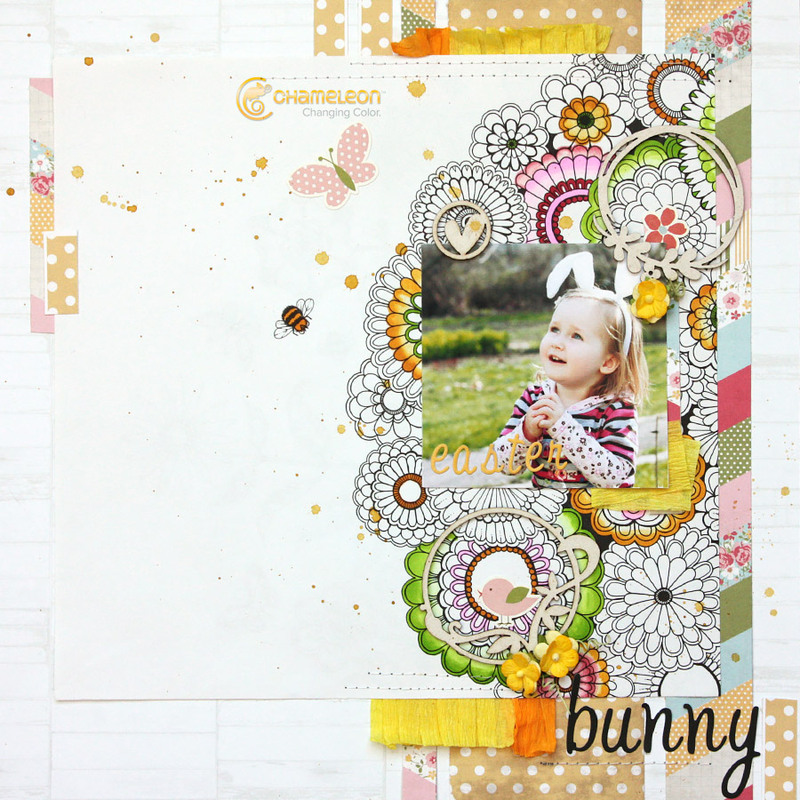 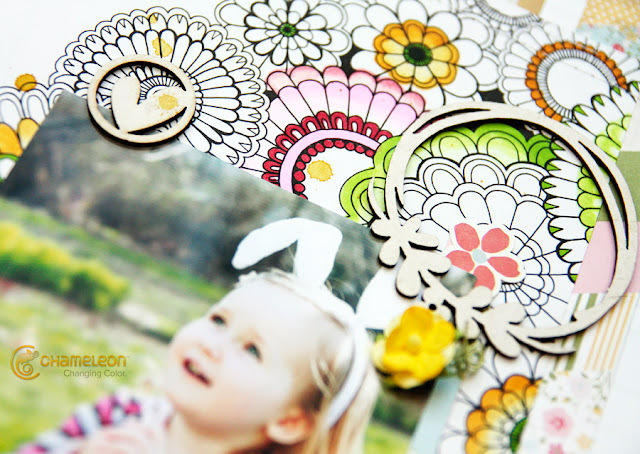 Visit the Chameleon pens blog to find more step-by-step pictures and some tips - Bunny Dress Up Layout. Materials Used: Chameleon Colour Tones Deluxe Set; Warm Sunset (YO3); Spring Meadow (YG3); Bubble Gum (PK3); Crimson Red (RD4); Echo Park – Sisters Collection; Lemon Owl chip boards; Johanna Bradford “Secret Garden” colouring book.